Recruitment of Prelims Exam 2019. 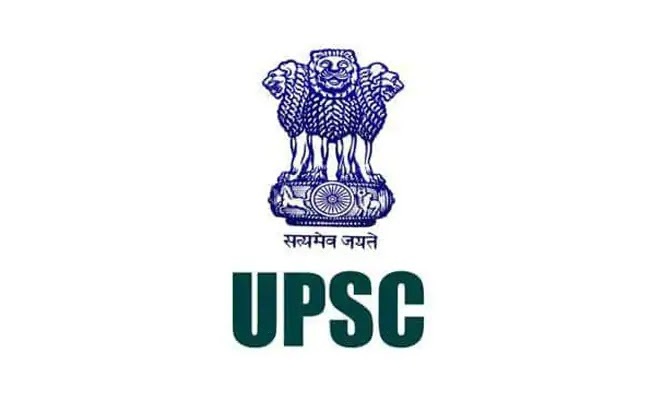 UPSC Union Public Service Commission IAS, IRS, IPS, ICAS, IRTS, IRAS JobsEligible candidates can apply online from 19-02-2019 to 18-03-2019 for this UPSC CIVIL SERVICES recruitment of 2019. There are approximately 986 vacancies available in Civil Services. To attend the mains examination the candidates have to clear the UPSC Civil Services Prelims examination 2019. Those who cleared the Prelims examination they are only eligible for the Civil Services mains examination 2019. There is a separate notification will be given for the UPSC CIVIL SERVICES Mains Examination. For more information regarding this UPSC CIVIL SERVICES Recruitment please see the furnished information below. UPSC Union Public Service Commission IAS, IRS, IPS, ICAS, IRTS, IRAS Jobs. There are 896 vacancies available in CIVIL SERVICES 24 departments. The candidate must hold a Bachelor's degree in Arts/Science/Engineering from a recognized university . The candidate's age limits as on 01-08-2019 21 years to 32 years. The candidate must have born in between 02-August-1987 and 01-August-1998. Up to maximum of 5 years of age relaxation is given to SC/ST candidates and up to 3 years of age relaxation is given to OBC Candidates. The candidates have to pay the Rs.100/- towards Civil Services Prelims Examination through Debit/Credit card or Net banking. For offline mode candidates have to generate the SBI chalana and amount should paid in bank before 18-03-2019. And update the payment information online on the next day itself. 3. Personality Test, Medical Test and Physical Test. Preliminary Examination consists of Two Parts. Part 1 consists of 200 marks and Part 2 consists of 200 marks. Each paper having duration of two hours. • Indian and World Geography‐ Physical, Social, Economic Geography of India and the World. • Indian Polity and Governance‐ Constitution, Political System, Panchayati Raj, Public Policy, Rights Issues, etc. • General issues on Environmental ecology, Bio‐diversity and Climate Change ‐ that do not require subject specialization. Eligible criteria having candidates may apply online on or before 17-03-2019 through the official website of UPSC @ www.upsconline.nic.in. Before applying online please read the official notification carefully and then proceed for applying online. Must have provide a valid mobile number and mail id. Photograph and Signature scanned copies to be uploaded in given specific sizes in JPEG format. First complete the Part 1 registration and then proceed for Part 2 registration. Click here to download the official notification pdf of UPSC CIVIL SERVICES Examination. Click here to apply online for UPSC Civil Services Prelims Examination.